Founded in Toronto, Canada in 2003, the Ransom Holding Co embodies a strong Canadian heritage, and they have used this whilst creating their collaboration with adidas Originals. 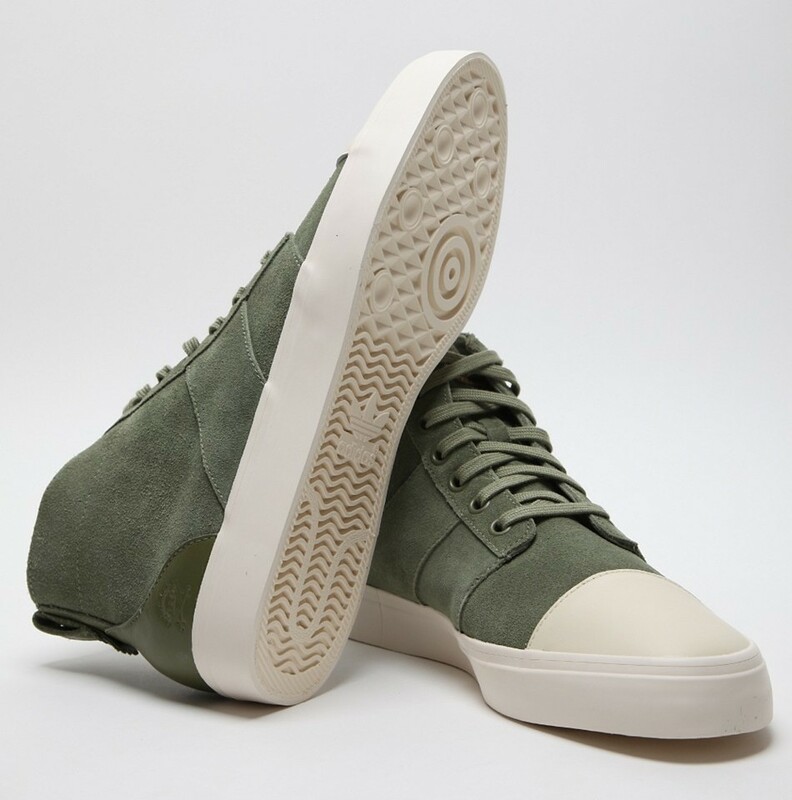 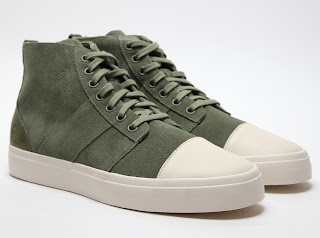 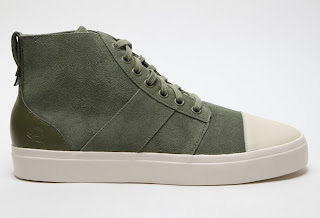 These Army Trainer Mids are presented in a premium khaki green suede upper, sat on an off white vulcanised midsole. 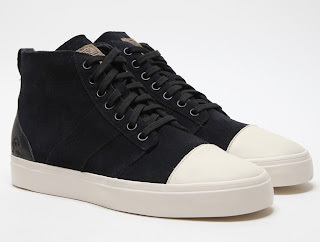 They also feature tonal navy leather panels on the heel and a white leather top cap.